This was a pretty decent week, a lot better than the previous one anyway. This week started off busy on Sunday. My mom and her husband visited to help us out with a few things. They installed our new dishwasher, installed our new towel rack and my mom helped me with taxes. I am glad to have the taxes done and sent out, it’s always takes a bit time to get that done, but keeping good records throughout the year of everything is a big help. And I am so happy to have a working dishwasher again. And the dishes get a lot cleaner. Then on Wednesday my sister visited. It was fun to catch up again we drank tea and talked. She just started reading the first book in SJ Pajonas cozy mystery series, so we talked about Pajonas her books a bit among other things. On Friday I visited my mom and had dinner there. So it was a busy week social wise, it was nice to catch up with everyone again. Last weekend our clocks went an hour backward and I’ve been feeling the effects the whole week. I’ve been feeling tired and I dislike the whole time change and wish we could just pick one and stick with it. 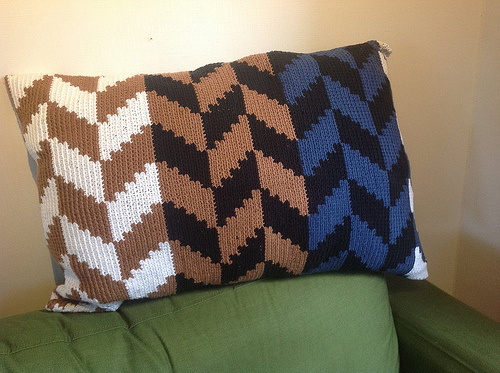 I think I am almost adjusted again, so hopefully I am less tired next week. I got some work done, mostly some prep work for tours that go open for sign-up later this month. A new review opportunity went live this week. And I already made a bit of a head start for the assistant work for April. Anna from Herding Cats and Burning Soup is hosting her third annual Support the Troops Auction! I donated two of my services. You can donate items here if you’re interested. Last week on Saturday I posted my review of Death by Chocolate Lab and I found out Kensington shared my review on their facebook page (twice actually!). 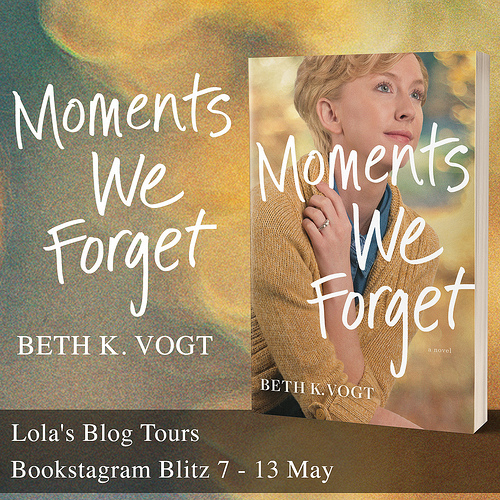 I was so excited to see them share my review as they are one of my favorite publishers, I always go on a requesting spree when they upload new cozies on netgalley. The author also stopped by and shared my review which was great. And then on the same day Maddie Day shared my review of When the Grits Hit the Fan. It’s such an amazing feeling when authors or publishers share your review. Oh and on the topic of bookish news, SJ Pajonas as put her book Summer Haikus up for free on her website! I loved this book and it’s one of the best romances I’ve ever read! I can’t say enough good things about this book and SJ Pajonas’ books in general. She even used a quote from my review on the top of the page! Anyway if you like a good romance, you can check out Summer Haikus here. If you do please let me know what you think of it! I am hoping I can re-read Summer Haikus this year. And as March is now officially over, it’s time for my reading stats of the previous month. I had a pretty good reading month. Below are some of my reading stats from March. A few more stats. This month I read 7 self published books and 4 from publishers (1 from Subterranean Press, 1 from Kensington and 2 from Harper Collins/ Harlequin). I read 4 different genres this month, 5 Contemporary Romances, 3 cozy mysteries, 2 Urban Fantasies and 1 Science Fiction Romance. 8 of the books were full length books and 3 novella’s. I read 9 books that got a 4 star, 1 book that got a 3 star and 1 DNF this month. I read 8 books I got for review, 2 books that I bought and 1 book I got for free. 9 of the books I read where read on my ipad and 2 on my Kobo. I read 6 books written in 1st point of view and 5 in third person point of view. I read 3 books that didn’t take place in the USA at all, namely Lemonade and Lies that took place in the UK, The Royal Pain that took place in the fictional country in Europe called Dubreva and Alien Mate that took place on an alien planet called Dakon. I only read 1 book that was a standalone, namely Landing Luck. 5 books were series starters, I didn’t read any series enders. 10 of the books I read had a human as main character (1 of those had dual pov, one alien an one human). One book has a non-human character, namely Lost Souls had a main character with Fae blood (but still pretty human). In magic’s Not Real I assumed the main character was human, but not fully sure, if she isn’t human we don’t know yet. 5 of the books I read had multiple point of views. 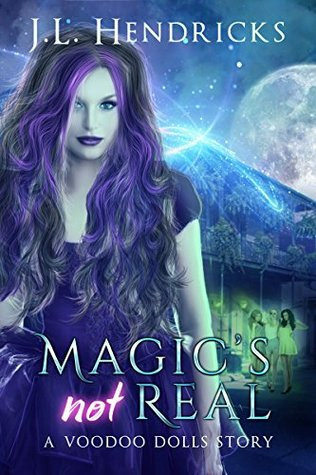 Magic’s Not Real was a fun and short read I had some issues with it and gave it a 3 star, but it was enjoyable. 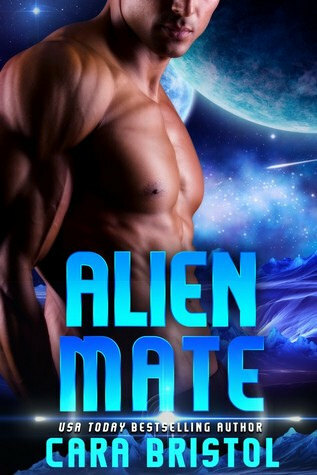 Alien Mate was really good and I am hoping to pick up more books by this author. – Warren High: An Elephant Never Forgets by J.C. Roberts – New! I got so many new books this week and I am still in this reading mood where everything looks good. And I have a hard time resisting those $0.99 sales. Scandal I got for review and also bought from amazon, I am currently reading it and it’s really good! 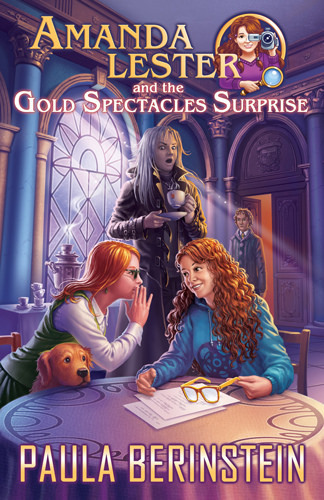 Amanda Lester and the Gold Spectacles Surprise was free for two days and as I read the rest of the series already I decided to list it here as well. 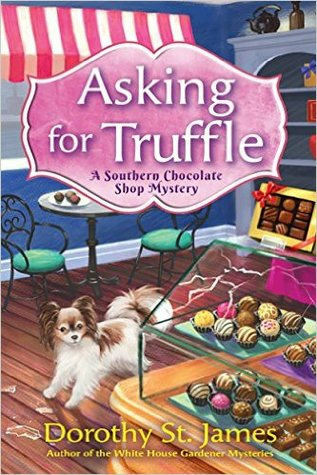 Asking for Truffle I got through netgalley. 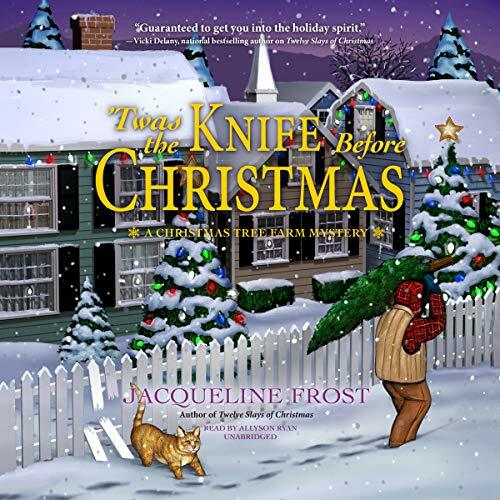 I heard the author mention this book on facebook in a group I think and I loved the sound of it and had added it to my wishlist on goodreads. So I was really excited to see it on netgalley and hit request immediately. Luckily I got approved, yay! 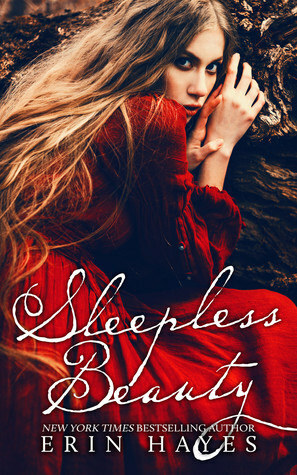 Sleepless Beauty I got for review from the author. It sounds interesting! 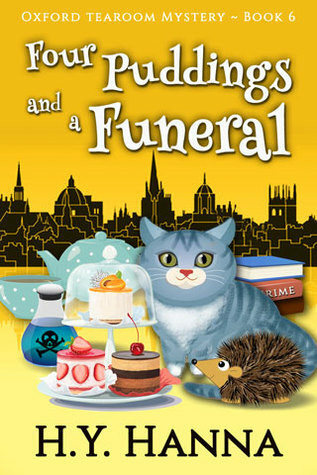 Four Puddings and Funeral I also for review. I really enjoy this series so far, so I am eager to dive into book 6! This one’s next on my to-read list. 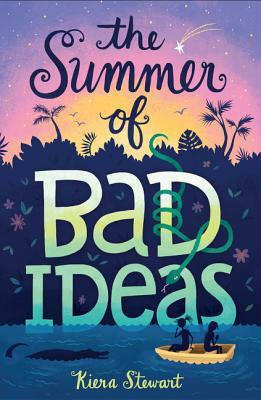 The Summer of Bad Ideas and Lost and Found Sisters I got both through Edelweiss. Lost and Found Sisters I already got, but I couldn’t download it until now. I tried it again now that I got approved for The Summer of Bad Ideas and was over on their site and now I could download Lost and Found Sisters as well. I am really curious about both these books. Purrfectly Deadly and Fixin Toe Die were both only $0.99 so I grabbed them. 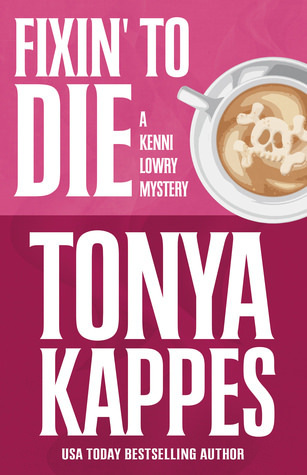 I wanted to give Tonya Kappes books a try, so I am grabbing them when they are discounted. 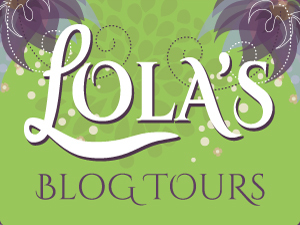 Another blogger recommended her books, so now I am even more curious about these. Purrfectly Deadly I got as it’s a mystery from a cat point of view. I haven’t read book 1 yet, but for 0.99 I couldn’t resist getting book 2 too. 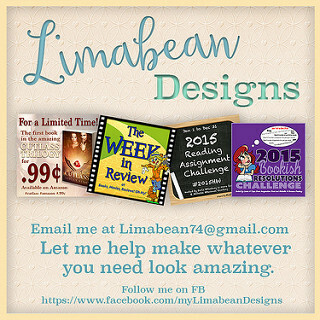 You can stop by my facebook post here to see some freebies I found last week. Here’s the facebook post for next week. Interesting stats! The two books you read this week look cool. And so many new books! But huh, a mystery from a cat POV, that should be unique! It was a pretty good week with the visiting and having a dishwasher again. And I was so happy when I saw the publisher share my review. Both books I read this week were good ones. 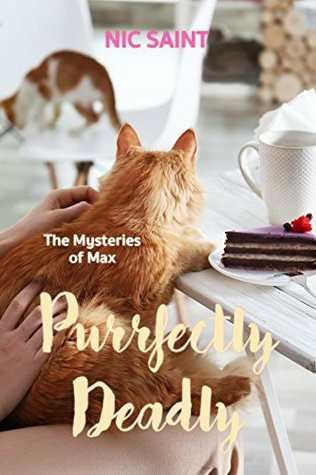 And I am really curious about the cat mystery, so now I have both book 1 and 2. Sounds like a great week. It is always great to catch up with family. I will get to see my mom in July. Glad you can talk books with your sister. I have no one in my family to talk books with. I can with a few coworkers, which has been nice. I didn’t have that at my previous job. So glad that you got your dishwasher back. I know how bad it is to be without one. I completely agree that we should get rid of the time change. No one seems to like it. It was nice to see everyone again and catch up :). I am glad my sister is a reader like me and sometimes I recommend her books I think she likes. It’s fun when we read the same book and can talk about it. It’s nice you have a few coworkers to talk about books with. I don’t get why we still have the time change, almost everyone seems to dislike it and it always takes so much time to get sued to it again. I am glad to have a working dishwasher again, I really hate doing the dishes by hand. Our clocks went forward last week so an hour less in my bed plus the sun shining in my window at stupid hours of the morning both made me grumpy! I’m always happier when the clocks go back and I get that extra hour plus it means winter is coming! Have a good reading week! I hate losing that hour as it’s so disorienting. Having an extra hour is easier to adapt to, but I rather they just stopped with the time change thing altogether. My sister sometimes reads the same books or genres as I do, so it’s nice to be able to talk about that. I am curious to hear what you think of Saven deception! I really enjoy Siobhan Davis’ books. She’s a great writer! I’m in the middle of it right now. 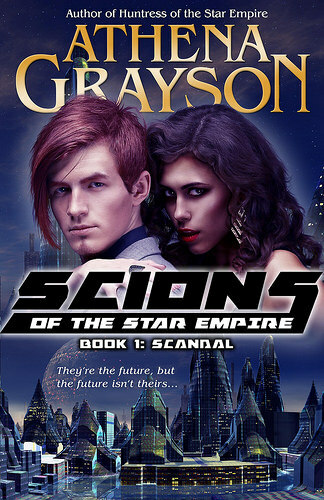 I very much like the worldbuilding and the society Davis has depicted – but I have found the romantic element, at times, just a bit tedious. That said, that isn’t the author’s fault – it’s my disinterest in that all the does he/doesn’t he courtship dance. But I haven’t finished yet and I’m not going to judge it until I’ve got to the end. She’s certainly a really good writer, whom I’m enjoying. I am glad to hear you’re mostly enjoying it so far! I get what you say about the romance, I think the romance is a lot better in later books. I didn’t care as much for the back and forth thing in the first book. I am looking forward to hear your thoughts when you finished reading the book! 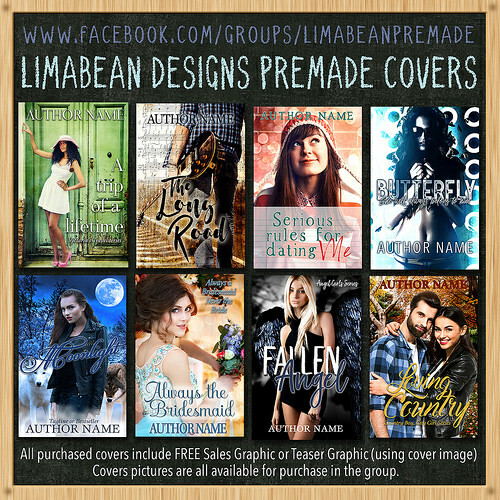 kimbacaffeinate recently posted…Sunday Post #259 Hello April! Yes it was a good week minus the time change. It always takes a while to adjust to the time change. I hope you give Summer Haikus a try! It really is an amazing book! I am so glad your mom and her husband were able to help you guys out. I would be miserable if my dishwasher died. We really come to depend on the technology of today, don’t we? I am glad too that you had a nice visit with your sister. Looks like you got some great new books, Lola! I hope you enjoy them all. Have a great week! Yes it really made me realize how dependent I’ve gotten on things like my dishwasher. I hate washing the dishes by hand. So I was really glad they were able to help out and install the new one. That’s nice that they were able to come over and help install the new dishwasher. My daughter and grandson came over yesterday and we had a nice visit. That’s nice your daughter and grandson came over to visit you last week. I am glad my mom and her husband knew how to install the new dishwasher as I had no clue were to start. It’s great to have a working dishwasher again. Neat that you could visit with your family a few times and even better that they helped you get some home projects and the taxes done. Lots of book news and love combing through your end of the month stats. Five different genres is a great spread and all different authors. Yay, I finished Cara’s book, too, and loved it. I hope its a series. Did you see that her first cyborg story is free? Hopefully April will be a great month for you, Lola! Yes it was great to have them visit and help out with some things. I saw her first cyborg story was free, although I think I won that in a giveaway on your blog last month, so I already have that one I think. 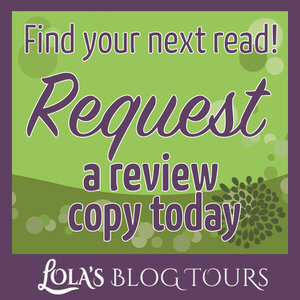 I am looking forward to read your review of Cara’s book, I really hope it will be a series. I did read a nice mix of genres this month. I really like doing these stats recaps each month. I’m thinking The Summer of Bad Ideas looks fun. Awesome cover. Hope you have another great week! It just seems ridiculous how only one hour messes your internal clock up so much, but it does. It always takes me a week or more to adjust. I think I saw that cover on another blog and it caught my attention and then I found out it was available on edelweiss and had to request it. Yes it was a busy week, but a good one too. I was so happy to see Kensington shared my review :). Glad you had a nice visit with your family and got things accomplished. 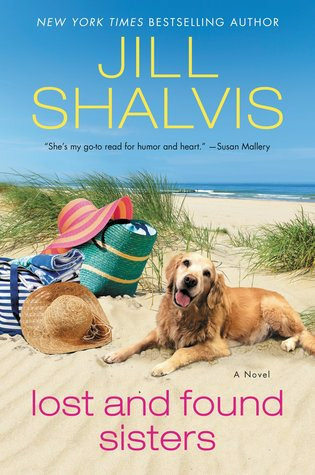 I am looking forward to the Jill Shalvis book. It has taken me a month to get used to our time change since we lost and hour. Have a great week. The time change really is hard to get used to! The new Jill Shalvis book sounds really good, I am really curious about it too! Looks like you had a really nice week and I’m glad you got to spend time with family. That’s awesome Kensington shared your review twice! Yes I was so happy to see they shared my review. I checked my stats and saw it got quite some views, so I am thinking their shares helped. Aw. I’m glad you had a good time with your family and woo sounds productive, too! I need a new dishwasher so totally jealous. Hope you have a great coming week. And thank ya for sharing about the auction! I was glad to see you were doing the auction again this year :). I hope you get a lot of donations. I am so happy with the new dishwasher, I really dislike washing the dishes by hand. I think it’s interesting that even though we live a world away from each other, you still deal with the same things we do-time change and taxes! Our tax day is coming up on April 15th and while mine are done, I just need to pay them! Sounds like you had a lot of family time this week and that’s always a good thing, at least I think so. Hope you enjoy the rest of your week! Yes while a lot of things differ among countries, there are also a lot of things that are the same. I think we have till early May for our taxes if I remember correctly, I always try and get them done as soon as possible. 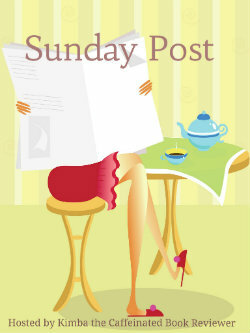 I’ve been sick with some sort of virus so I’m getting to all of my blog reading late this week! 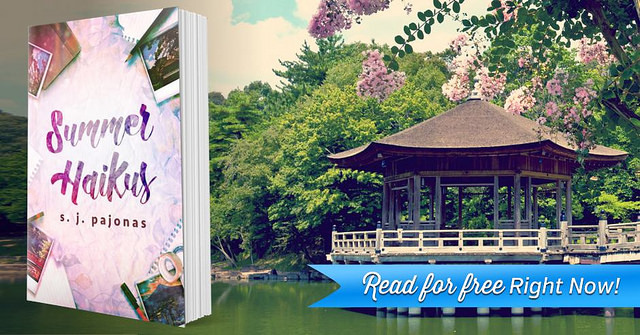 Thank you so much for mentioning Summer Haikus as free on my website. I really appreciate it, and I know that you enjoyed the book, so I’m hoping some others check it out. And it’s cool that you and your sister talked about my books. <3 That gives me a lot of warm fuzzies. Glad your week went well and I hope you have an awesome week this week, too. I hope some people will check it out. It’s such an amazing book and I wish more people had read it. I am glad my sister reads your books as well, so I have someone to talk about with them. I am curious to hear what she thinks for the daydreamer books once she finished them as she’s currently reading those.